Mieszko I ( Polish ; c. 930 – 25 May 992) was the ruler of the Polans from about 960 until his death. A member of the Piast dynasty, he was a son of the legendary Siemomysł, and a grandson of Lestek. He was the father of Bolesław I the Brave (the first crowned king of Poland) and of Gunhild of Wenden. Most sources make Mieszko I the father of Sigrid the Haughty, a Nordic queen, though one source identifies her father as Skoglar Toste, and the grandfather of Canute the Great (Gundhild's son), and the great-grandfather of Gunhilda of Denmark, Canute the Great's daughter and wife of Henry III, Holy Roman Emperor. The first Christian ruler of territories later called Poland, Mieszko I is considered the creator of the Polish state. He continued the policy of both his father and grandfather, who were rulers of the pagan tribes located in the area of present-day Greater Poland. Through both alliances and the use of military force, Mieszko extended ongoing Polish conquests and early in his reign subjugated Kuyavia and probably Gdańsk Pomerania and Masovia. For most of his reign, Mieszko I was involved in warfare for the control of Western Pomerania, eventually conquering it up to the vicinity of the lower Oder river. During the last years of his life, he fought the Bohemian state, winning Silesia and probably Lesser Poland. Świętosława (Sigrid) (b. 968/72 – d. ca. 1016), married first to Eric the Victorious, King of Sweden and later to Sweyn Forkbeard, King of Denmark. From her second marriage, she probably was the mother of Cnut the Great, King of Denmark, Norway and England. 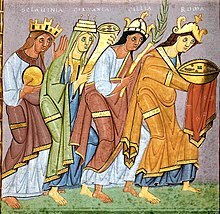 Some researchers, comparing Scandinavian, Polish and German sources state it was Gunhild of Wenden who was the daughter of Mieszko I and Oda (not Dobrawa) and who became wife of Sweyn Forkbeard, king of Denmark, England, and parts of Norway, mother of Cnut the Great, king of Denmark, England, Norway and parts of Sweden (the Anglo-Scandinavian or North Sea Empire), as well as Harald and Świętosława. 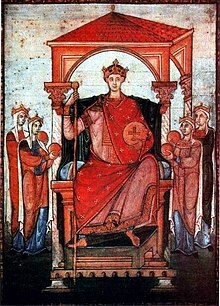 She was also the grandmother of Gunhild, the wife of Henry III, Holy Roman Emperor. What's the good word on Mieszko I of Poland?